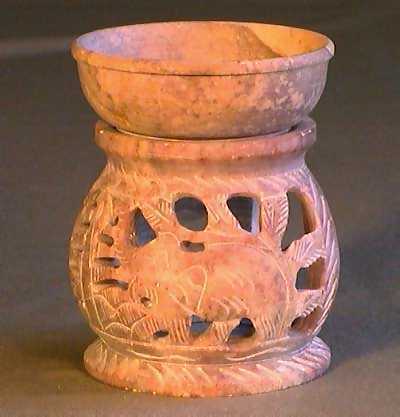 Description: This stoneware incense burner was found in South Kalimantan. 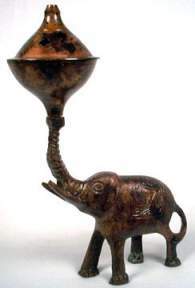 The object takes the shape of an elephant, with a small bowl functioning as an incense burner on its shoulder. 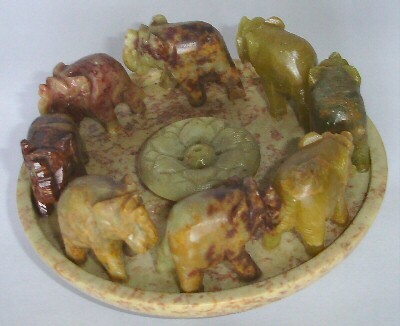 The elephant is accompanied by six soldiers. 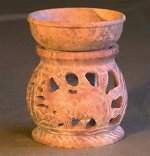 Description: The object/incense burner comes in three distinct pieces. 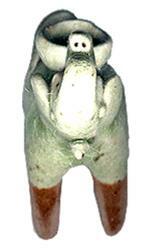 Height 32 inches, Maximum width 12 inches, Weight 28 pounds. 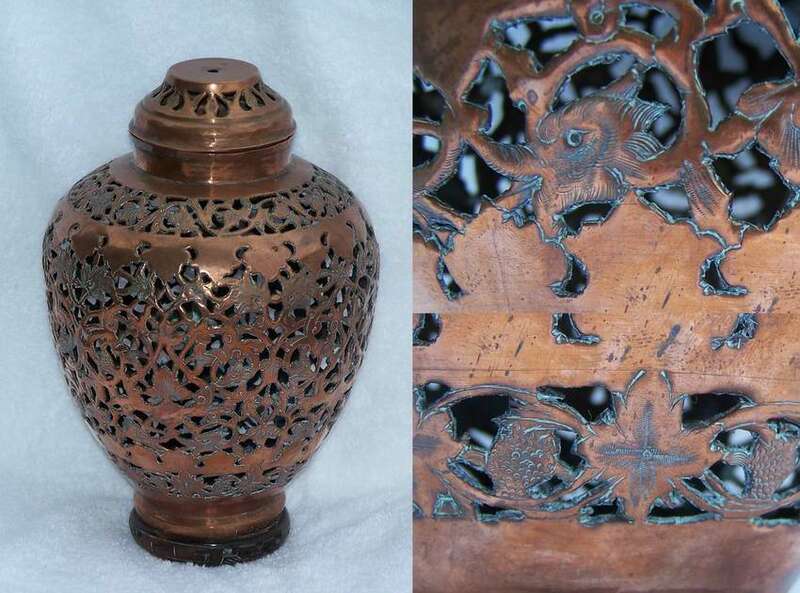 Appears to be made from bronze, maybe copper and perhaps even gold. 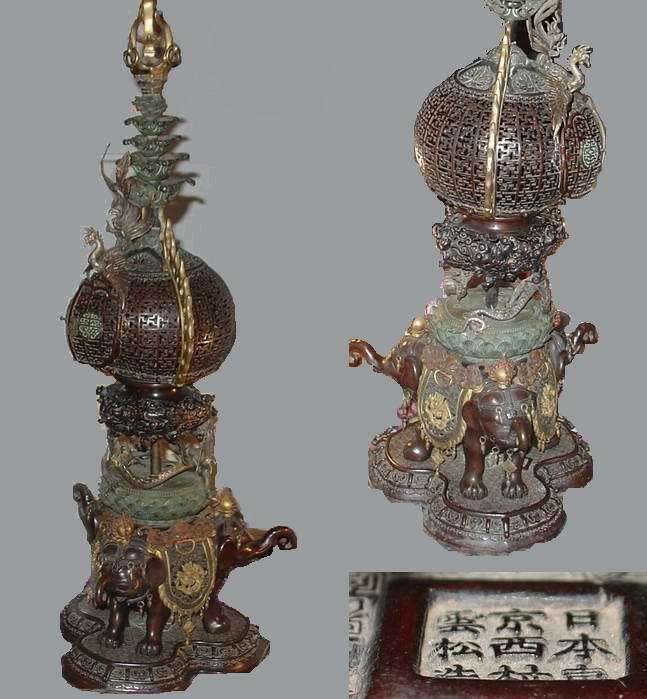 The only discernable writing on the object/incense burner appears to be Sanskrit and looks to be of Japanese origin. 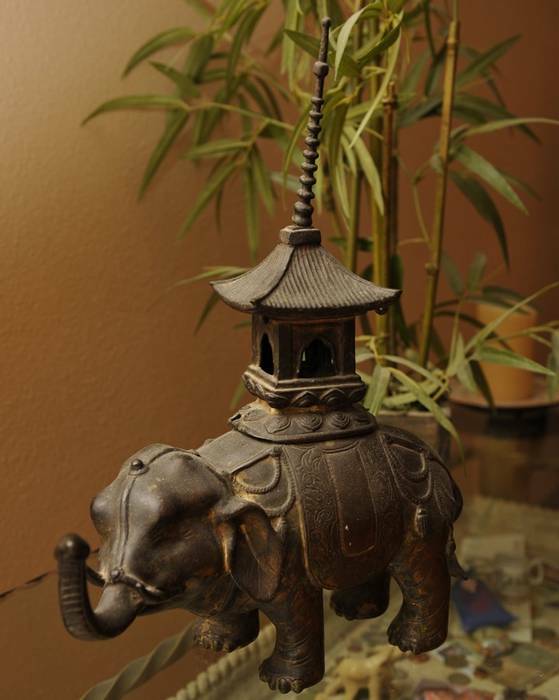 In addition to the three elephants forming it’s tripod base, there are exotic birds and dragons. 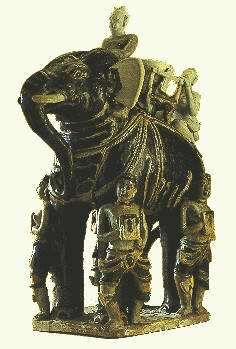 The saddles of the elephants are adorned with interesting tassels, each with different weights. 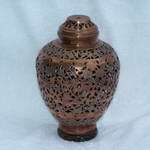 Description: Burner is approx. 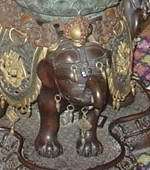 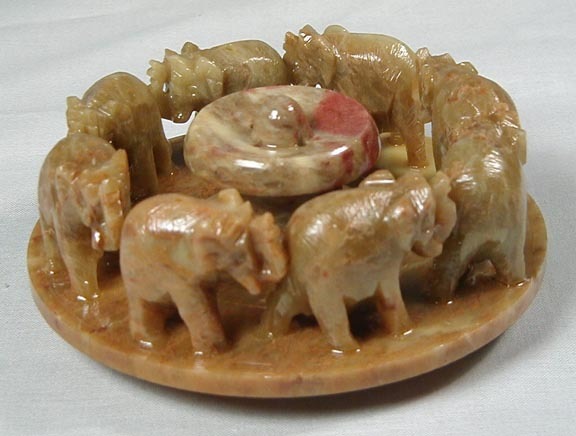 4 feet high and 3 feet in diameter, its made of brass with East Indian Elephants on the ring around the lip. 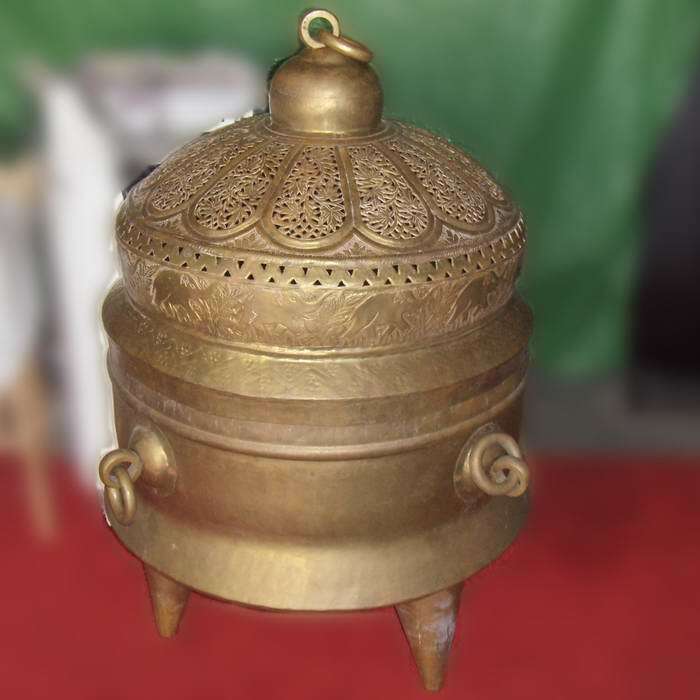 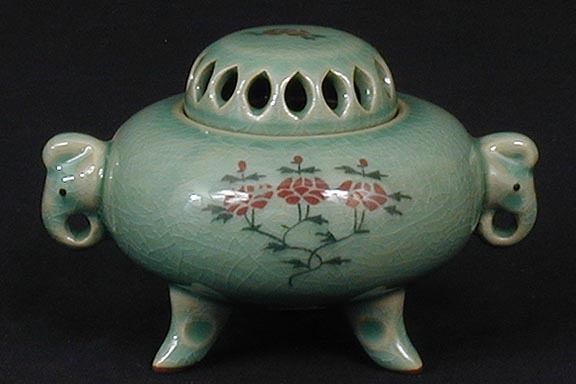 Description: This nice incense burner could have been taken from a Chinese grave, from Ming Dynasty era.